When I travel to a new city, I head to its library as soon as possible. I formed this habit well before I became a student of library science. It made sense for a few reasons: because libraries tend to have great architecture, because I love books, and because, as government entities, their workings tend to be indicative of the area’s philosophies and values. I see the library as synecdoche for the rest of the government. If I wander into a national library whose facade is covered in baroque sculptural detailing, only to find that the stacks are closed to the public except for scheduled tours on the first and third Wednesday of every month, I know what to expect from the rest of my visit. On the flip side, I once found that the road leading to the Amsterdam library’s modern glass structure became a huge bicycle parking lot and was delighted to be welcomed into a large, open collection by friendly librarians that was color-coded by floor. The rest of the city was a model of openness and efficiency. Since beginning library school at the University of Washington in 2014, my library visits are not just for pleasure, but professional development: as a future librarian, I am expected to spend time in as many libraries as possible and to interact with staff to learn more about their philosophies, policies, software, organizational structure, and more. The best way to learn how to do something is to see the work being done already and learn about it from the leaders and decision-makers in charge. Molly FitzMorris presents at the UCLadino Conference in Los Angeles, California, in Spring 2016. I was elated to receive a Jewish Studies Opportunity Grant from the Stroum Center in spring 2016 to visit Jewish libraries in Los Angeles. I timed my visit so that I could also attend one day of the ucLADINO Symposium, a student-run conference on all things Ladino that takes place annually on the main UCLA campus. 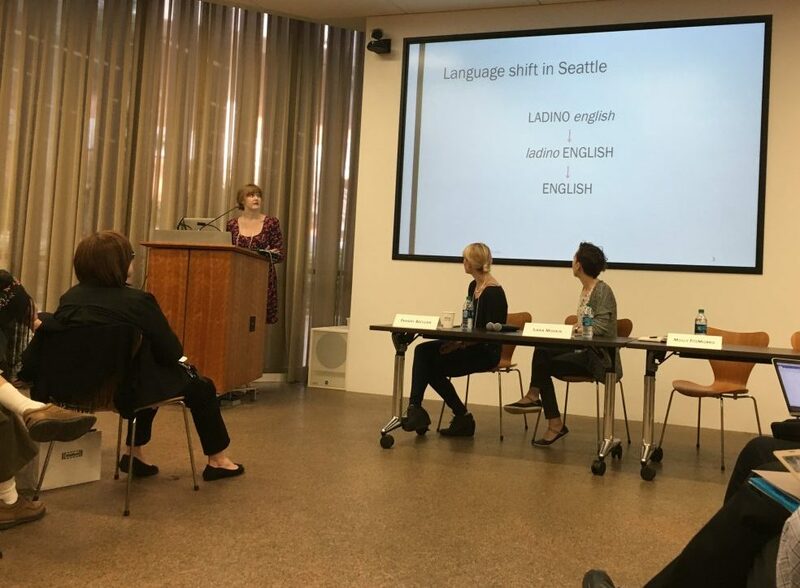 I was glad to have the chance to support my colleagues Molly FitzMorris, a UW PhD student in Linguistics who has worked extensively with Seattle’s Ladino-speaking community, and Dr. Devin Naar, chair of the Sephardic Studies Program at the UW. Both gave excellent talks on the work being done in this city, and both were a pleasure to watch as presenters. David Hirsch, UCLA’s Librarian for Middle Eastern, Islamic, South Asian, and Jewish Studies, gave me a tour of the Young Research Library’s extensive Judaica collections, which are a must-see for any Jewish Studies scholar in the area. As I was in Los Angeles for just a few days, I chose to make half-day visits to two libraries. The first was the Blumenthal Library, a combined school and community library at Sinai Temple on Wilshire Boulevard. 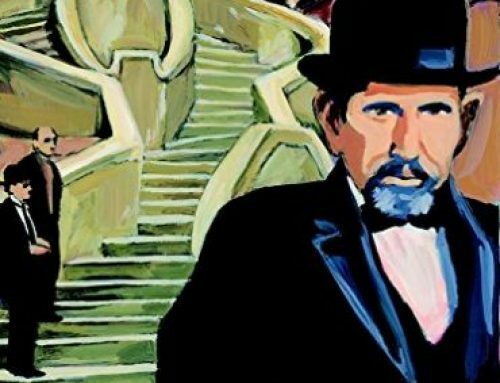 The library’s director at the time, Lisa Silverman, gave me a crash course in running a Jewish library. 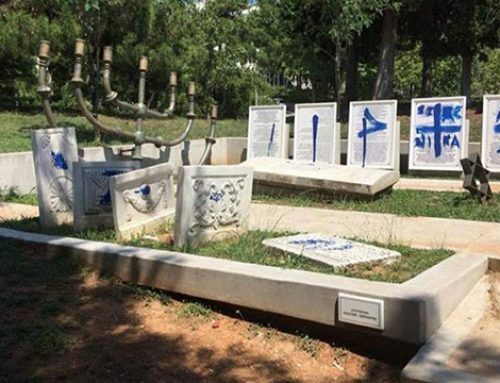 Lesson one: Jewish libraries can’t use the well-known Dewey Decimal system, because the range of call numbers dedicated to Judaica is a small fraction. Most of the collection would be classified under number 296, and the other call number ranges would be largely unused. 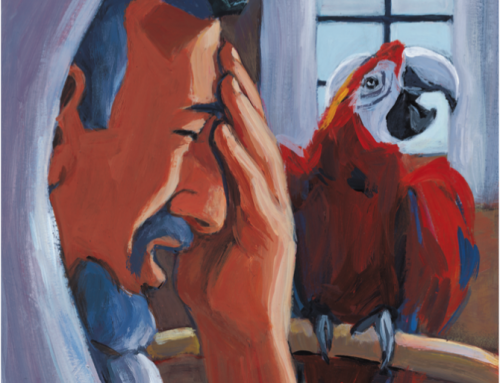 The solution that Lisa and many other Judaica librarians prefer is called Elazar. 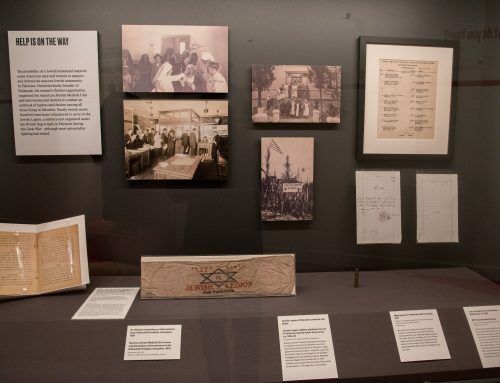 It is named for its creator, David Elazar, and allows Judaica libraries to arrange their collections according to a range of topics within Jewish thought. 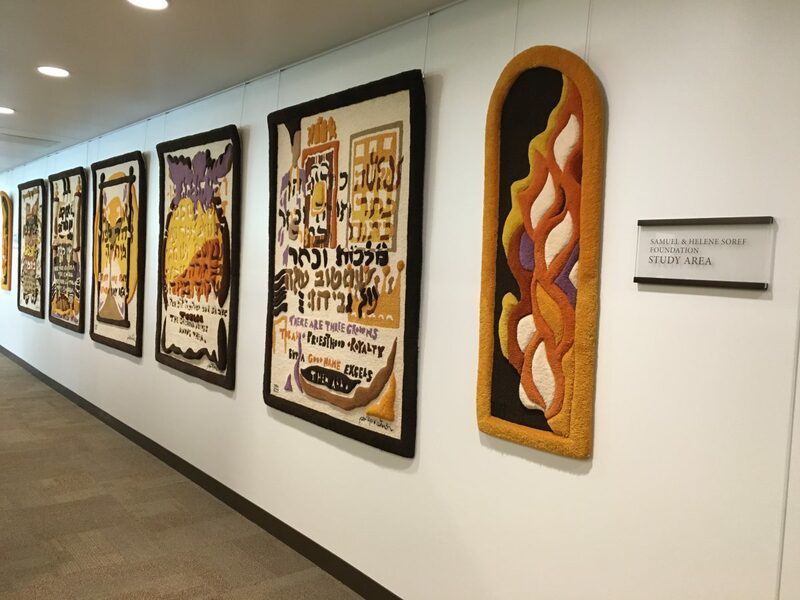 Wall hangings at American Jewish University in Los Angeles. My second visit was to the American Jewish University’s Familian Campus, which is built on a beautiful hillside in the Bel-Air neighborhood. The AJU library is yet another academic-public hybrid, as it houses both the Bel and Jack M. Ostrow Library (the university’s academic collection) and the Burton Sperber Memorial Jewish Community Library (a public collection and successor of the Jewish Federation’s now-defunct library). The AJU Libraries’ director, Paul Miller, graciously showed me the building, which was luminous, open, and decorated with a variety of beautiful modern Jewish art. In addition to the building’s public spaces, Paul showed me behind-the-scenes processing and cataloging areas, and demonstrated the software that AJU uses. 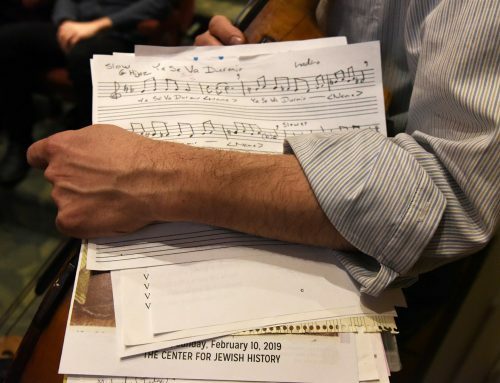 Judaica Librarianship is a small niche, and Los Angeles is one of few cities that boasts a variety of spacious and well-endowed Jewish libraries. 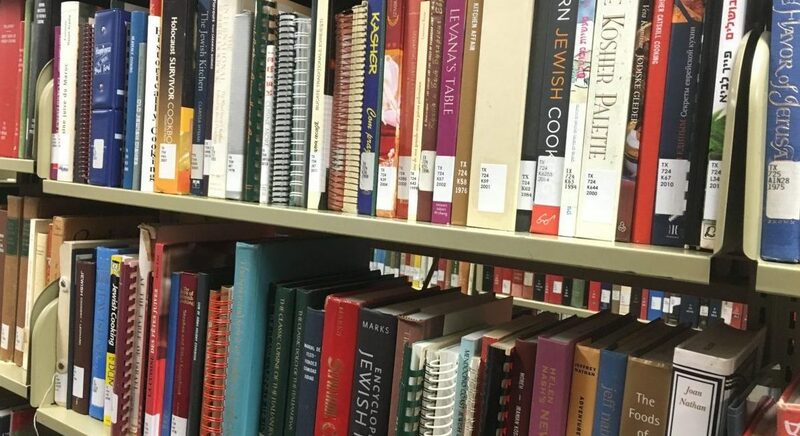 The two I visited taught me about day-to-day logistics and allowed me to see how Judaica librarianship differs from public or academic librarianship, as well as how those areas often overlap. I was able to make connections with librarians who encouraged me to pursue a career in Jewish libraries, which I would love to do. Jewish Studies has proved to be a bridge to other cities, and I look forward to seeing where else it will take me. Emily Thompson recently graduated from the UW Information School’s Master of Library & Information Science program. 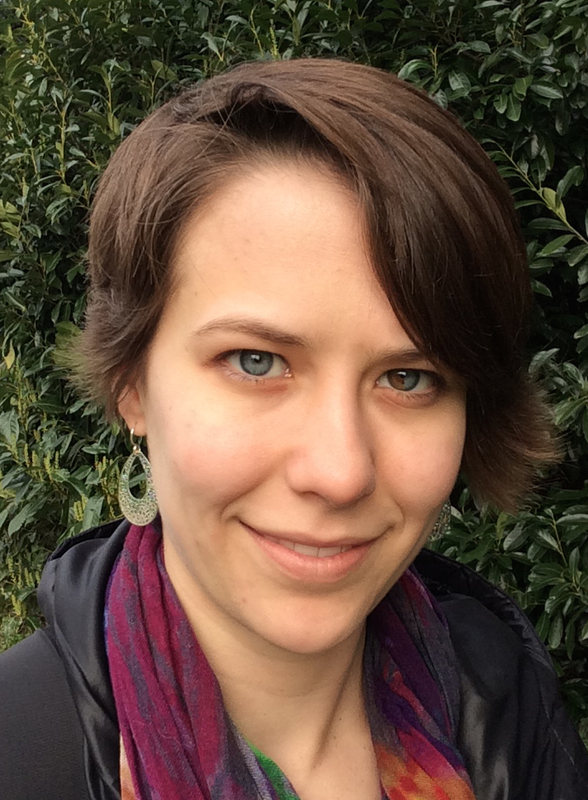 Her academic interests include knowledge organization, institutional memory, and human-centered design. 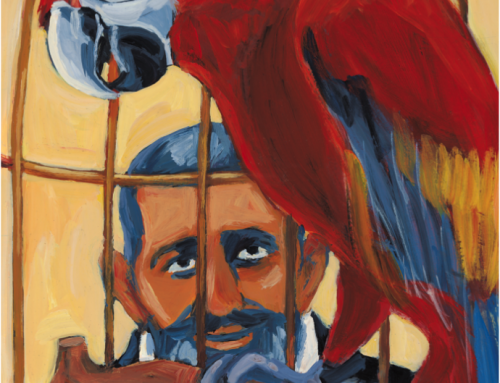 Her avocation is literary translation from Spanish and Ladino into English.